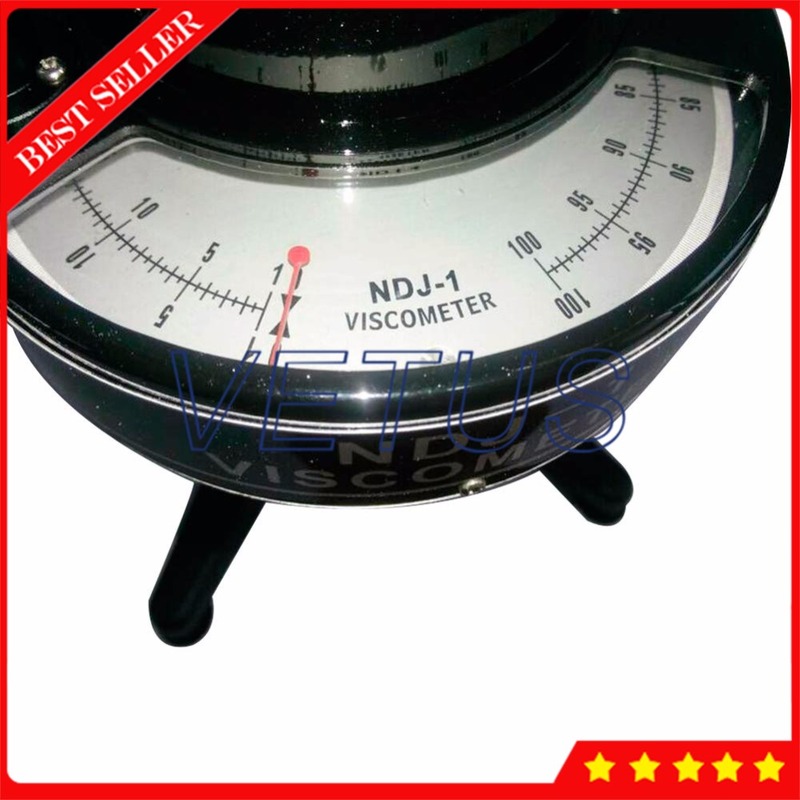 NDJ-1 rotary viscometer is a new instrument used for determining the liquid viscose capacity and the absolute viscosity. 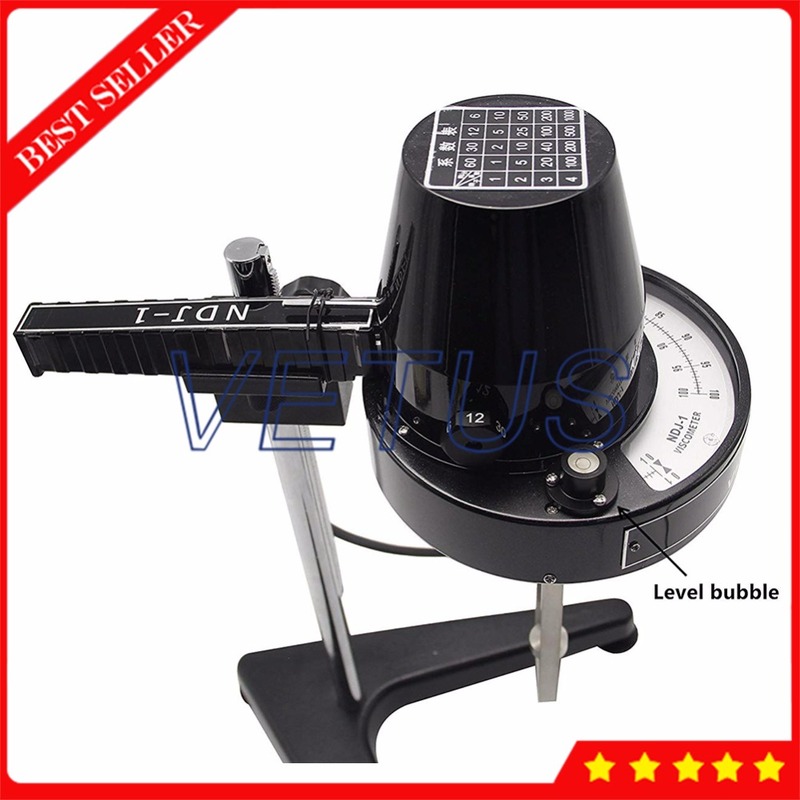 NDJ-1 has been widely used to determine and measure the liquid viscosity in many applications such as grease, painting, plastic, pharmacy and adhesives. 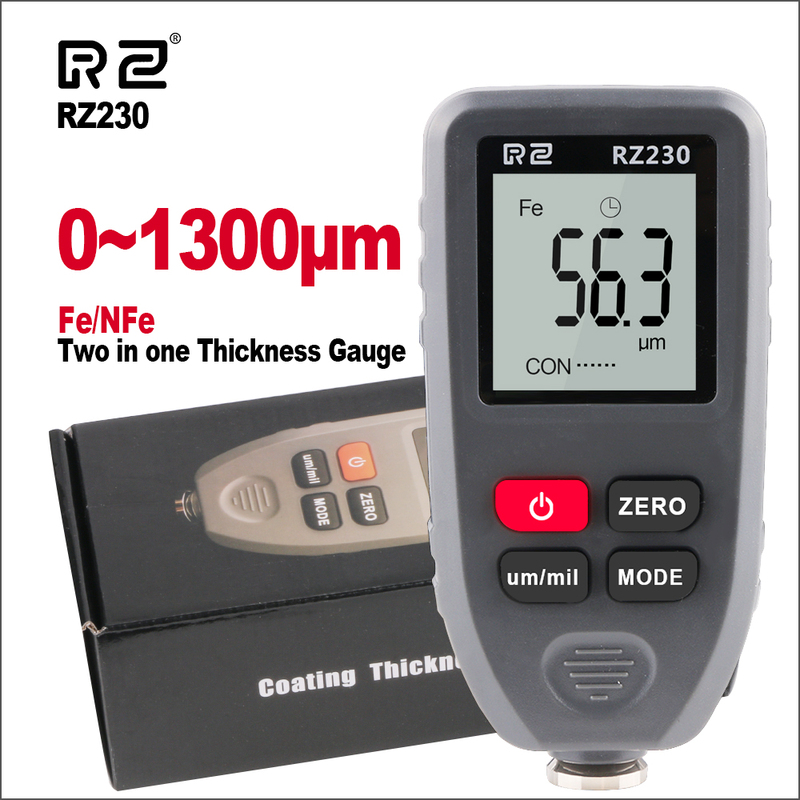 It is a precision instrument to monitor and control the stable quality of products in the manufacturing. We will ship the Voltage plug according to your country . 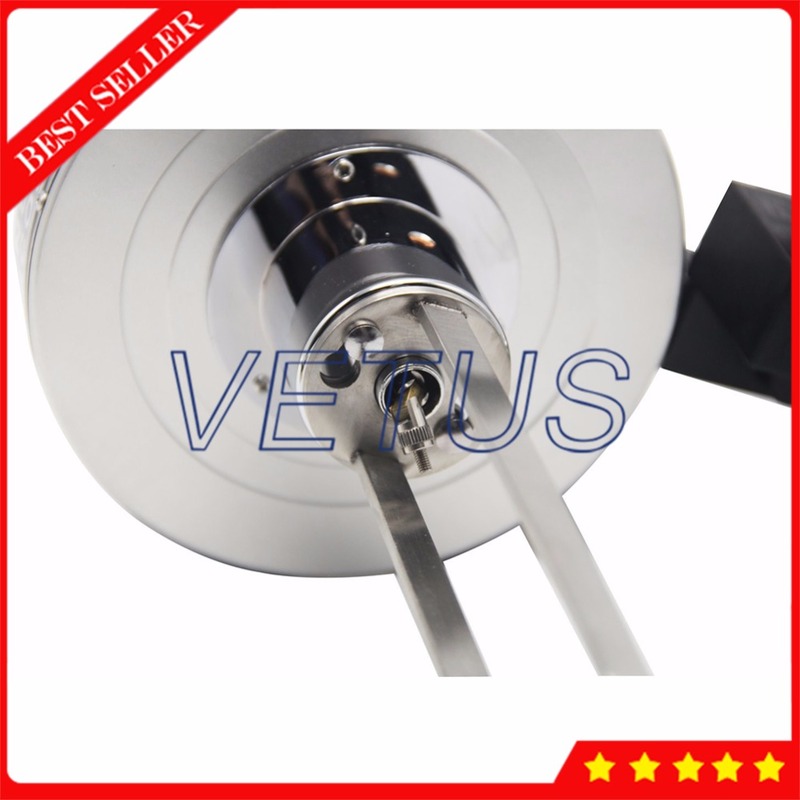 If you are the country for 220V Voltage , we will configure it for you . If you are the country for 110V Voltage , we will configure a Voltage converter adapter which can converte the voltage .but you need extra pay USD 50.Compared with 220V.It is without good to work . 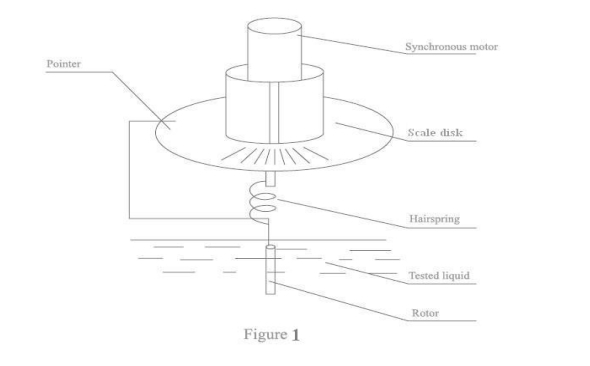 1) （Figure 1）Synchronous motor rotates with stable rate, connect scale disk, through hairspring and rotating shaft, drives rotors to rotate. 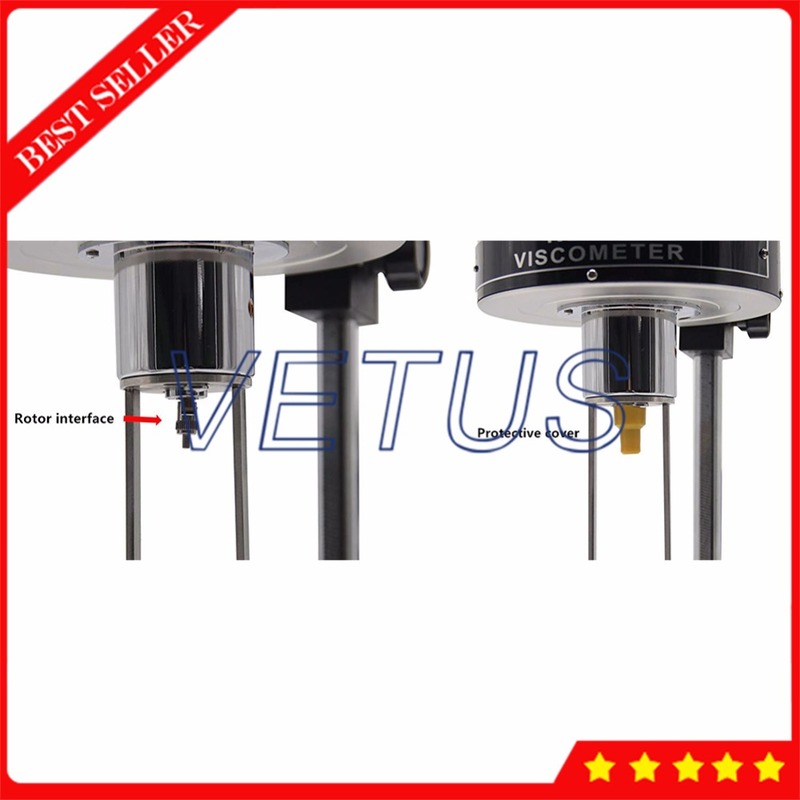 The rotors will subject to a torque moment proportional to liquid viscosity because of the liquid viscose hysteresis. The torque moment will be measured by the sensors and processed into the viscosity and shown on the display. 2) Rate can be changed by using gear system and clutch, operated by rotary knob, four optional velocity. 3) According to different equipments, different rotors (Five rotors: NO.0-NO.4) will be attached, it can be select with the velocity according to the viscosity of the liquid. 4) The fixed control gear of pointer are used for accurate reading. 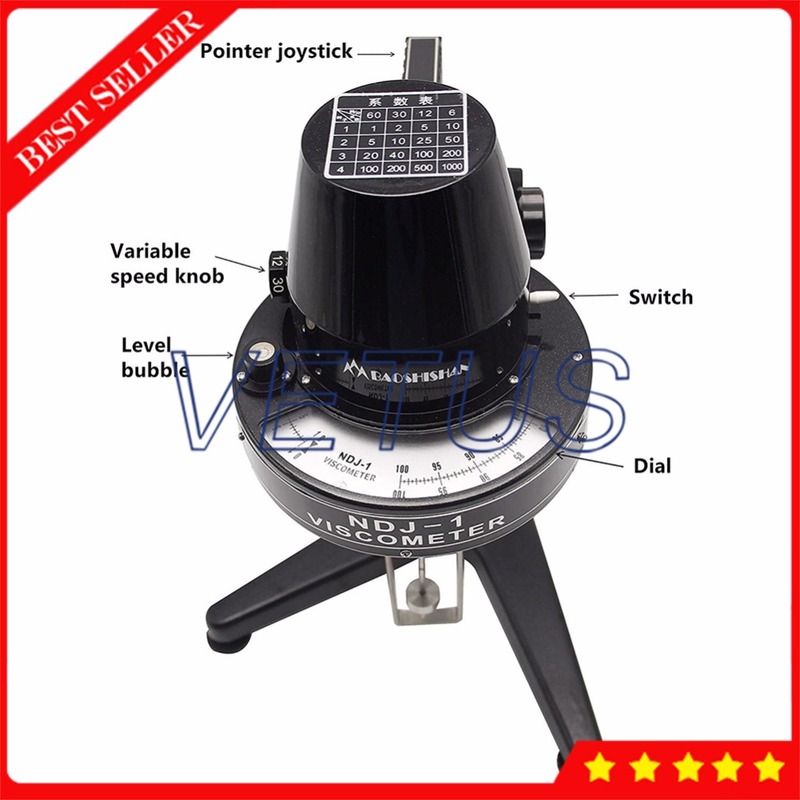 When the rate is so fast (30 rpm, 60 rpm) that you can not get the reading while it rotated, press pointer joystick，fix the pointer in order to get the reading. 5) The rotor bracket is used for the protection of rotors and the stability of the measurement, a more reliable measuring result can be made by using the protection bracket. 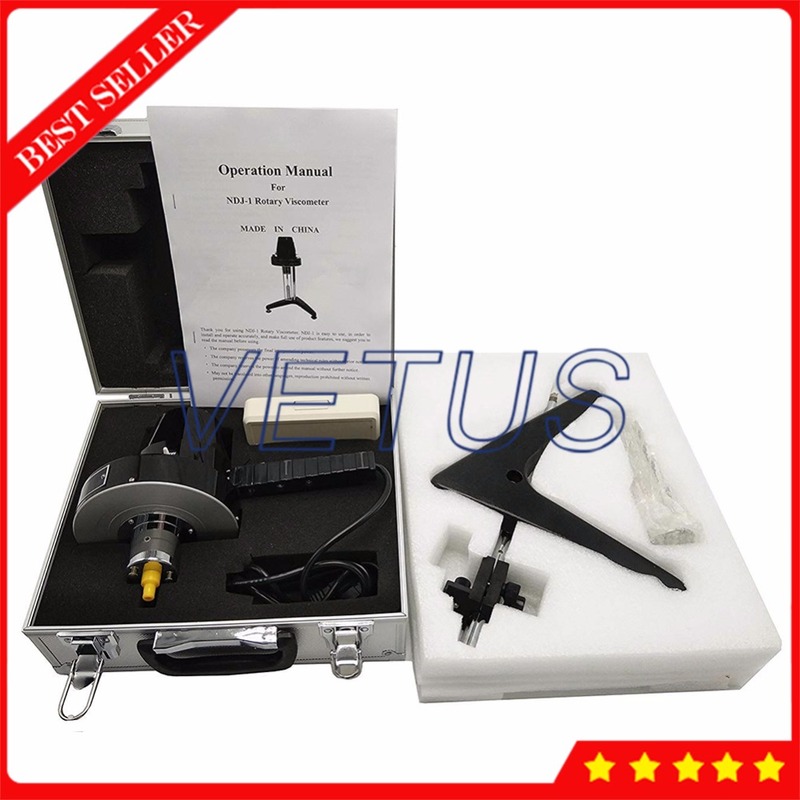 6) It can be used as a portable instrument, assigned fixed bracket and elevating system. Generally, it should be fixed when determine small amount or the temperature is fixed in the laboratory. 7) The instrument has gears and damping elevate mechanism. 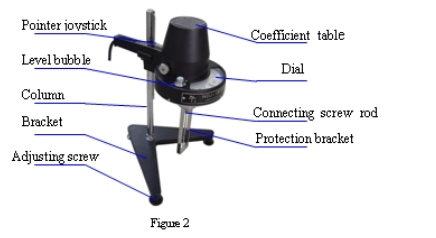 It is stable for instrument lifting. 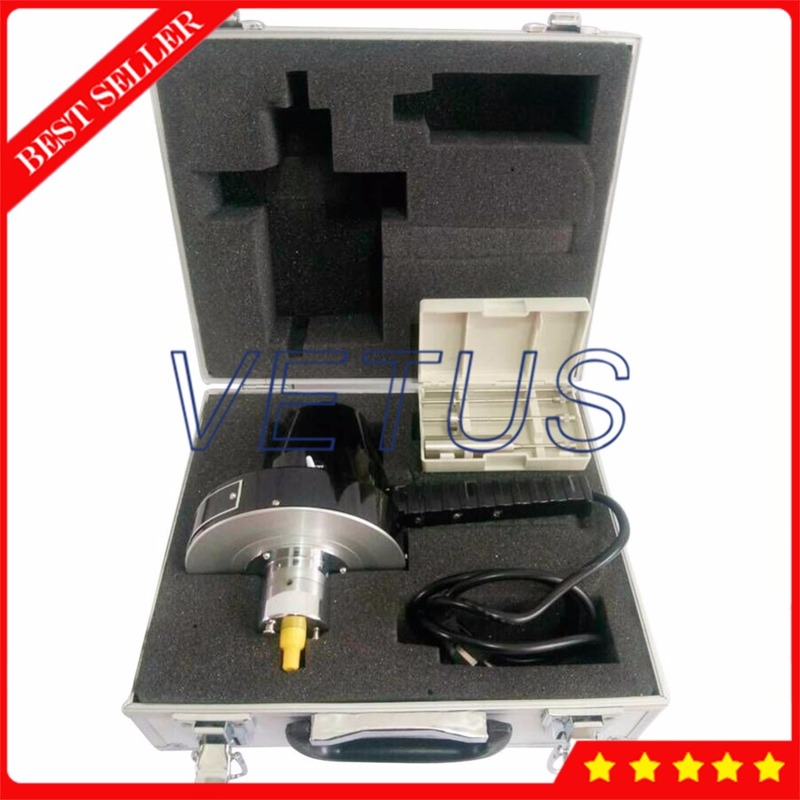 8) The whole set of instrument has good quakeproof packing to ensure the precision of instrument. 1. Take out the bracket, package, stanchion and so on from the packaging. 2. Screw the column to the threaded hole behind the bracket, and put the tooth profile surface in the column facing front the bracket. Screw the hex nut tight by wrench to prevent the column running. 3. Rotational move the lifting chuck knob to check the flexibility and self-looking of lifting chuck. Found the lifting chuck too loosen and too tight phenomenon, can be used hex nut wrench to adjust the tight screw. So that it can lift from top to bottom. 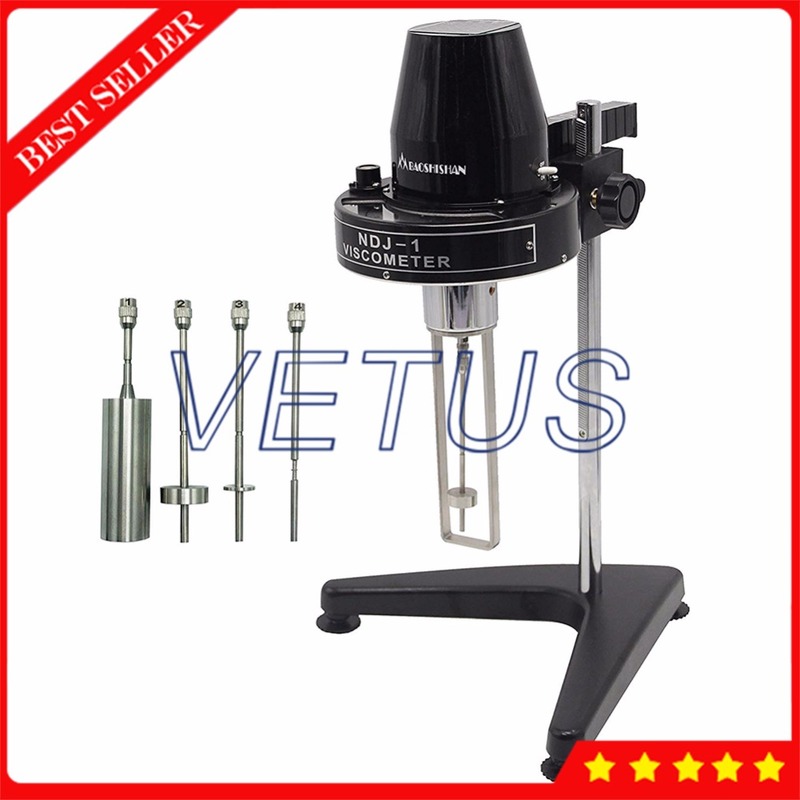 And it is suitable for tight to prevent the situation of automatically falling after installing the viscometer. 4. 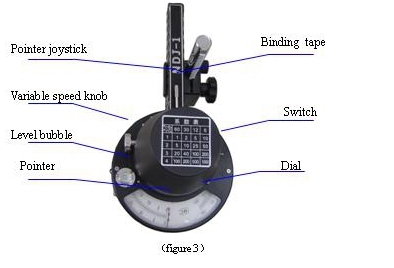 Take out viscometer form package and mount it on the lifting collet，tight it by handle setscrew to avoid loosen(as level as possible), link the power supply, take away the rubber band on the pointer joystick, screw the nut of protecting-cap loosen under the instrument, take away the protecting -cap. 5. Adjust the adjustment screw and put the rotor into the liquid to be measured till the level mark on the rotor reach the liquid surface.